When Chetan Mahajan is wrongfully sent to Bokaro Jail, he encounters a world completely different from his corporate life in Delhi. From picking the best prison ward, befriending the people who can get him mobile phone access and upgraded food, and training for his upcoming marathon in the tiny prison yard, Chetan soon learns to work the prison system. In the process he makes unlikely friends, and discovers what India’s underbelly really looks like. 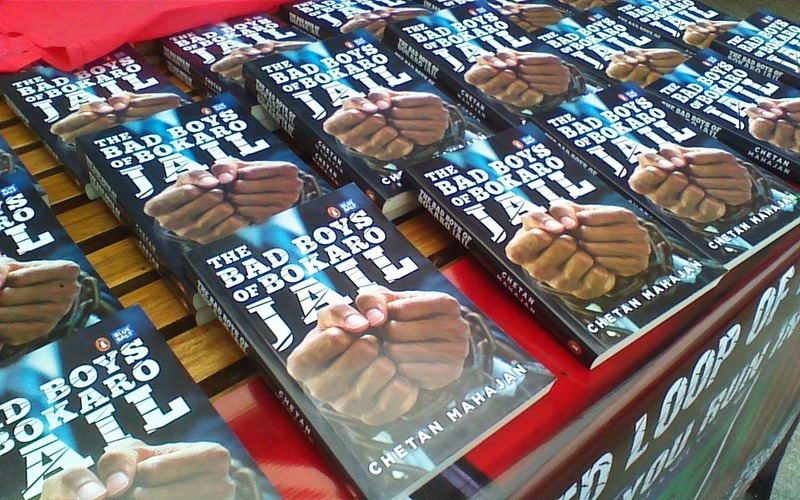 Chetan Mahajan, an alumnus of UBS where he did his first MBA, and second from the Kellogg School of Management, Chicago, USA, was in the city to share his debut book, “The Bad Boys of Bokaro Jail” published recently by Penguin India. 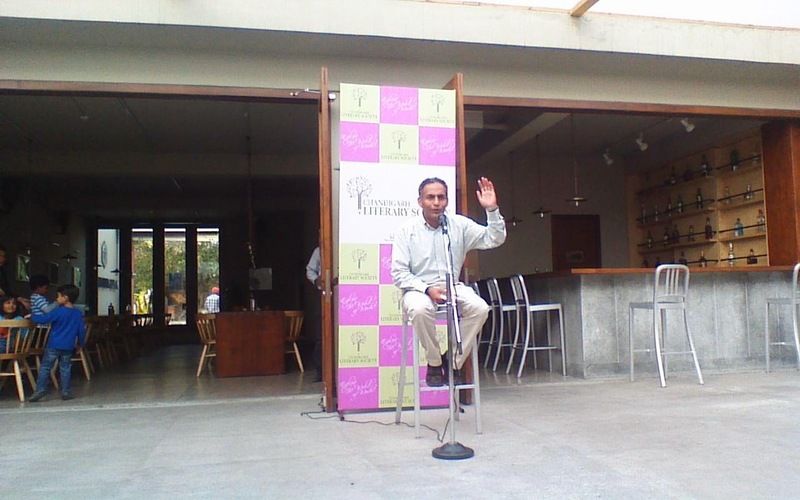 Chetan Mahajan wrote his first book purely because of a strange set of circumstances and with no formal training as a writer. He is currently the CEO of HCL Learning Ltd., a company that adds value to the Indian education system through technology. He has over 20 years of experience both in India and the US with organizations such as the Tata Group, Ogilvy & Mather and exciting Everonn. He has also had an entrepreneurial stint with Edutopia, and has also been a teacher online at the University of Phoenix. The Bad Boys of Bokaro Jail, is thought provoking, amusing and touching and details his time at the under-trial jail in small-town Jharkhand after he was wrongly accused of chaar sau beesi, or fraud. The last place you would expect to pick up good HR practices is in an Indian prison. But Chetan Mahajan says the one key change in his outlook towards life after jail time will perhaps be best reflected in his recruitment policy: “I will definitely have a more flexible approach while hiring people now. Everyone deserves a second chance,” he says. Back in 2012, Chetan was employed by Chennai-based Everonn that ran an IIT coaching chain with a branch in Bokaro city. The branch had been short of funds and some of its teachers had left to join competition without any notice. Naturally, students and parents became uneasy and demanded an instant refund. Within three months of joining the company, Chetan was sent to handle the issue that had blown out of proportion from his office in Delhi. He was put behind bars within two days of arriving at Bokaro, after indignant parents filed a police complaint. The courts remained shut for the next eight days and Chetan ended up spending more than a month in jail. But captivity proved to be something of a blessing in disguise, so much so that he thanks the students and Jharkhand police in the acknowledgement section of his book. This is in addition to his fellow inmates who gave him a mine of stories and experiences to pen down. While in prison, Mahajan struck a close friendship with three inmates and the book partly revolves around their stories. All three were accused of murder — two for killing their wives for dowry. While one would normally shudder at the thought of talking to men accused of homicide, Mahajan says you wouldn’t be able to have a conversation in jail if you get judgmental about people. “Murdering a relative is not exactly the worst crime you’d come across in a jail. Plus this was an under-trial jail so one could never be certain about their guilt,” he says. In fact, an important lesson Mahajan learnt was to not judge. It’s easy for us to view anyone who goes to jail as cold-blooded criminals, but only about 5 per cent of the prison really consists of hardened law breakers, or as Mahajan calls them in his book, ‘career’ criminals. “Those are the dangerous guys that you wouldn’t want to run into.”Mahajan refused staying in the “luxury” ward in the prison precisely because it was full of career criminals. As it turns out, you can choose where you stay in a jail depending on the money you have. A luxury ward is where you get a TV, heater, tea throughout the day, mobile phones to make a call and even an iPod. NAVTEJ SARNA is the author of the novels The Exile and We Weren’t Lovers Like That and the short story collection Winter Evenings. He has also written several non-fiction works- The Book of Nanak; Folk Tales of Poland and a translation of Guru Gobind Singh’s ‘Zafarnama’. His most recent work is Savage Harvest, a translation of Punjabi short stories on the partition of India written originally by his father, the celebrated author Mohinder Singh Sarna.